Tough jobs demand tough products and Scag Giant-Vac tow behind truck loaders are ready to meet the challenge. Utilizing all-welded steel construction along with commercial grade quality throughout the entire line helps us maintain our time-proven reputation for rugged, durable and dependable products that are built to last and perform. Debris is sucked up quickly through the 12" beveled intake and hose and is pulverized as it passes through the massive 4-blade, welded steel, high CFM, 3/8" thick impeller. The impeller and blower housing wear liners can easily be serviced through the rear access panel, without removing the engine. The debris pickup nozzle attaches solidly and securely for transport and is mounted high enough to prevent damage when pulling into parking lots and inclines. The heavy-duty boom arm features a spring-loaded locking pin for transport and prevents the arm from moving and becoming a hazard when traveling from job site to job site. A large, ergonomic and ambidextrous padded handle provides ample leverage to position the intake nozzle exactly where you want it, with ease. 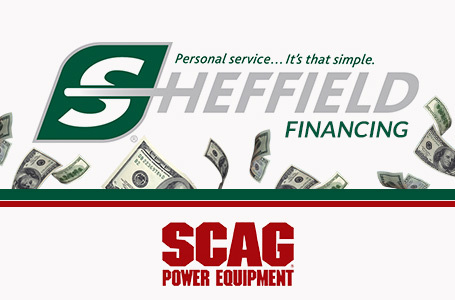 Contact your local Giant-Vac dealer for a demonstration today and experience the Scag difference for yourself. Hose Specification: 12 in. diameter intake hose, .045 black thermoplastic rubber, wire helix with wearstrip. Length 120 in.. Weight: TL20W-26CH-EFI = 990 lb. ; TL20W-29BV = 1060 lb. Powerful, 26.5 hp Kohler EFI and 29 hp Vanguard commercial-grade engines with heavy-duty air filtration systems for extended engine life. 12" diameter intake hose, .045 black thermoplastic rubber, wire helix with wearstrip. Length 120". Boom features a transport position with spring-loaded locking pin that keeps the boom secure during transport. Intake nozzle can be secured to the trailer for transport with an innovative transport pin system. Heavy-duty Dexter Torflex Axle (2,000 lb) smooths the ride and reduces jarring and vibration to the loader during transport. Heat treated solid steel inner bar and forged torsion arms for maximum strength. TL Models come standard with a 2" ball hitch. 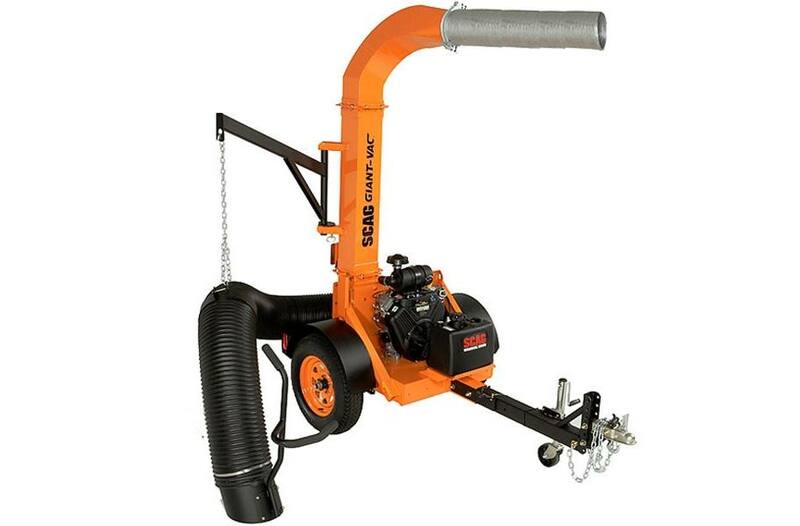 Your Scag Giant-Vac dealer can easily switch this to a 2-5/16" or pintle hitch, depending on your needs. TL20W-26CH-EFI = 990 lb. ; TL20W-29BV = 1060 lb. Application-only to $250,000 – Additional financial information required on larger requests. All program terms and conditions are subject to credit approval (O.A.C.) * $175 documentation fee, $225 in PA – additional $50 for titled equipment (i.e. trailer). Western Equipment Finance is only valid for commercial customers because they are a commercial lender and are unable to lend to consumers/homeowners. All programs are offered O.A.C. All contracts booked as a Lease w/stated Purchase Option. Application only to $250,000 – Additional financial information required on larger requests. Equipment Condition Rider outlines expectations of equipment condition at term-end. Equipment must run/operate as intended, less normal wear-and-tear. * $175 documentation fee, $225 in PA – additional $50 for titled equipment (i.e. trailer). 1st payment + documentation fee due at signing. 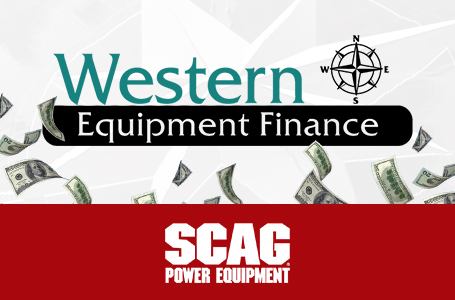 Western Equipment Finance is only valid for commercial customers because they are a commercial lender and are unable to lend to consumers/homeowners. 3.99% APR with 54 Monthly Payments : Minimum purchase $1,500. There is a promotional fee of $125 for this transaction. 3.99% APR from date of eligible purchase until paid in full. Monthly payment amount equals the purchase amount and estimated interest for the length of the offer divided by the number of months in the offer. Last payment may vary due to rounding. On-time payments will pay the offer balance in full. Other transactions and charges affect the total monthly payment amount. Prior purchases excluded. Account must be in good standing. Standard account terms apply to purchases that do not qualify. New accounts: Standard Purchase APR 29.99%. Minimum interest charge $1. Existing accountholders, see your credit agreement for applicable terms. Subject to credit approval. Yard Card financing account issued by TD Bank, N.A. Scag Power Equipment is proud to announce the "Simply the Brave" program now available year-round! 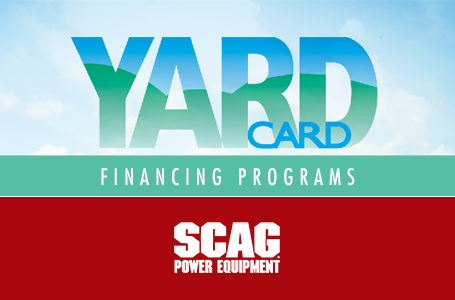 The program offers pricing discounts of 15% off the manufacturer suggested retail price (MSRP) on Scag lawn mowers and mower accessories, and is available to current and retired Fire, Police and EMT personnel, as well as active duty Military and Military Veterans. We at Scag respect and honor all those who serve to keep our country and its citizens safe and free, day in and day out. We humbly offer our thanks to these heroes for all that they do. Consult with your Scag Dealer for details. Offer valid while supplies last. Not valid on past purchases. Offer subject to termination at any time without notice or obligation. 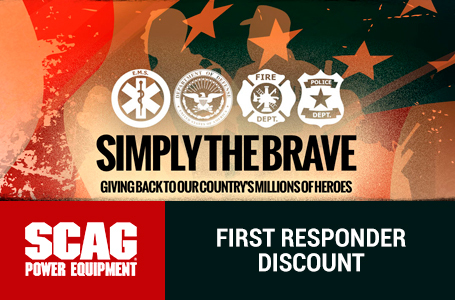 This “Simply the Brave” program will also benefit The Gary Sinise Foundation First Responders Outreach Program and Nation of Patriots as Scag will make a donation to each of these worthy charities upon the program’s conclusion.